We believe its just as important what is NOT in your skin care as what IS in it. That is why we use only the best products in your skin care treatments at Mahala's Day Spa. Farmaesthetics is a full line of 100% natural, premium "green" skin care products for face & body. Using organically grown herbs, flowers, grains & oils from American family farms. Used in the Classic Facial and Mini Facial. Skin Script skin care treatments are progressive and truly result oriented. They are quality fruit based products that are gentle, yet effective, and ideal for treating all skin types and ethniciies. 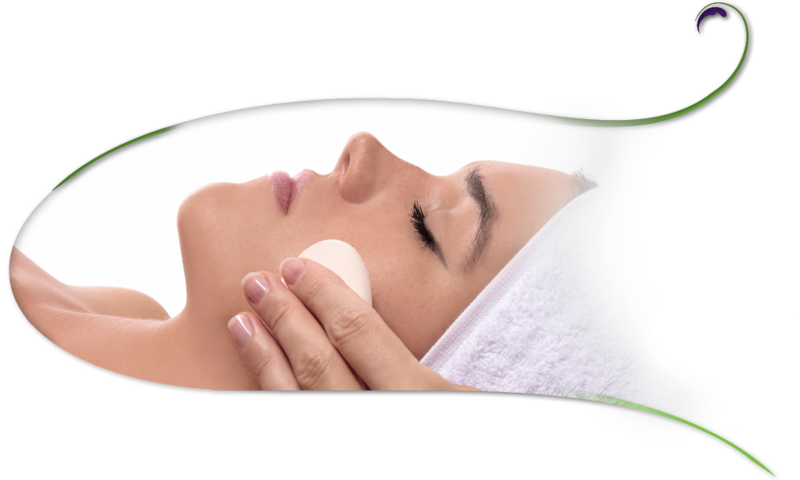 Skin Script allows your Mahala's Day Spa skin professional to create and customize treatments to address your skin concerns while improving your skin's appearance. Used in the Brightening Facial, Passionfruit Anti-Aging Facial, Pomegranate Deep Cleansing Facial, and Mini Facial. Also known as manual Microdermabrasion is a resurfacing treatment using a diamond tip file that delivers excellent exfoliation with an increase in skin brightening, reduces the appearance of fine lines and wrinkles, and clears stubborn acne and congestion. Helps to build collagen and thickens the dermis to firm and tighten the skin. Because there is no suction like with Microdermabrasion, targeted areas such as around the eyes, lips, eyebrows, and neck can be treated. Enjoy smoother softer and a more even skin tone in just one treatment. Dermafile offers all the benefits of Microdermabrasion without the use of crystals or machines so this facial is ideal and safe for sensitive skin including Rosacea. The Dermafile is a safe, natural, holistic alternative to chemical peels, skin needling, lasers, and microdermabrasion. This one hour facial includes all your favorite Spa facial perks. Includes deep cleansing, exfoliation using the Dermafile, extractions if needed, massage and concludes with a collagen facial mask.